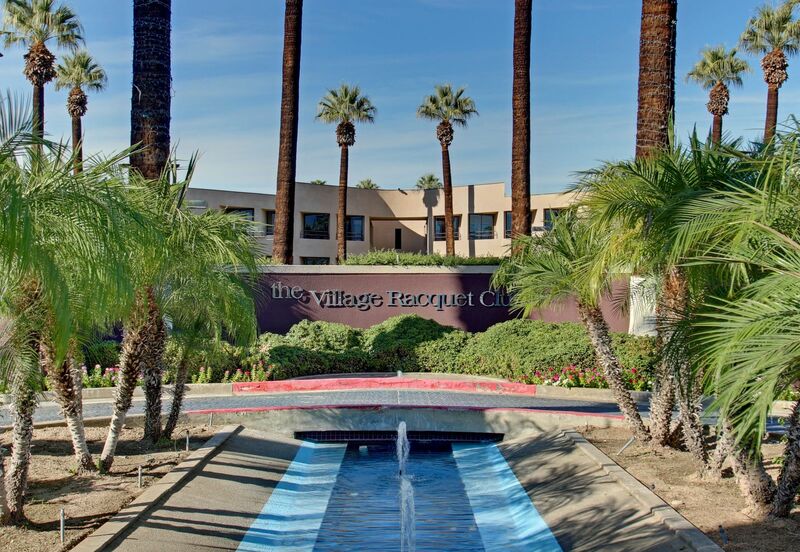 Village Square is a contemporary, 2-bedroom, 2-bathroom, four level condo; located in the quiet community of The Village Racquet Club. 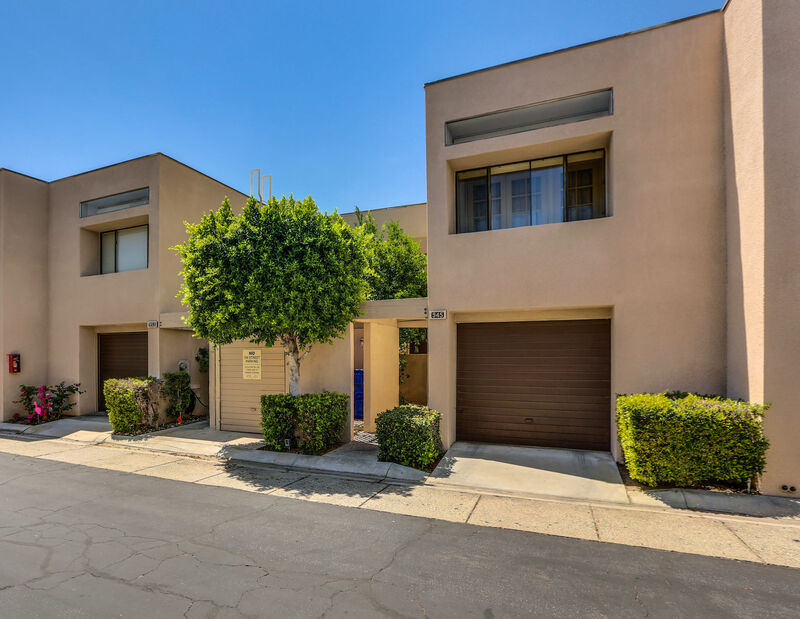 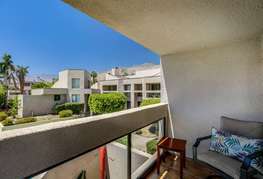 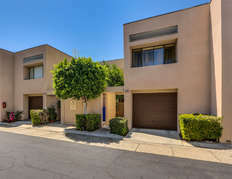 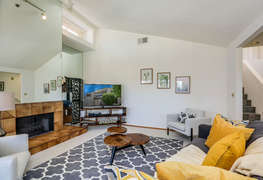 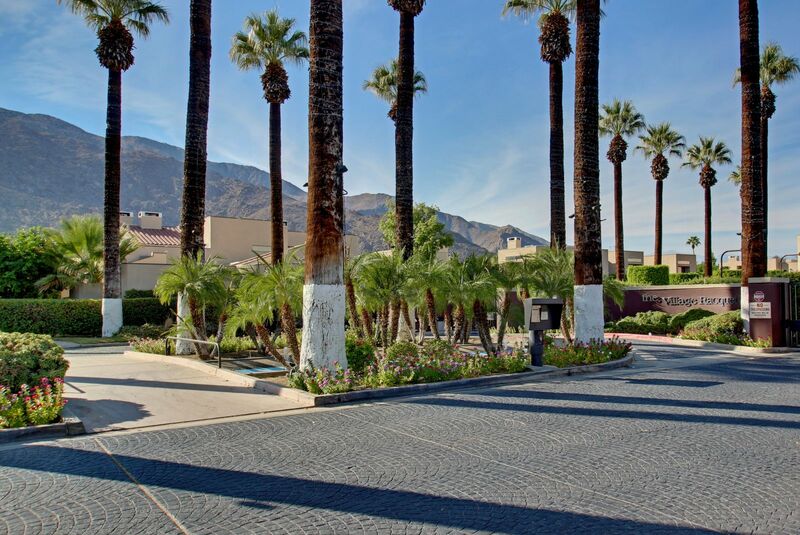 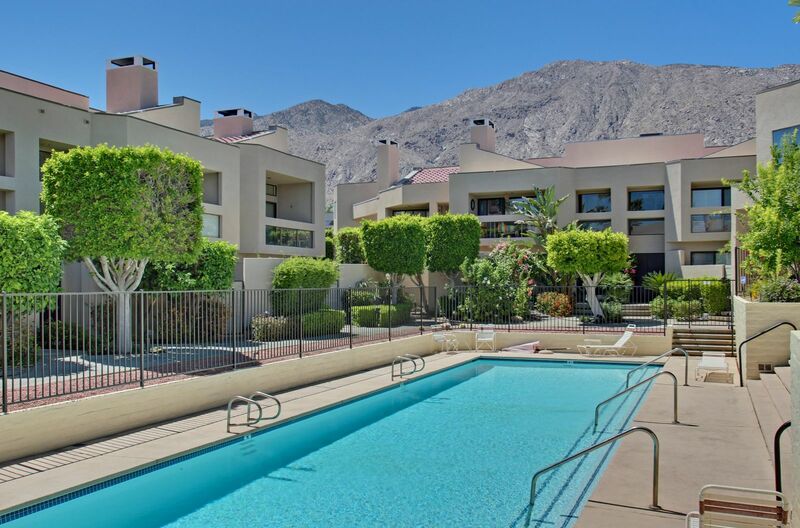 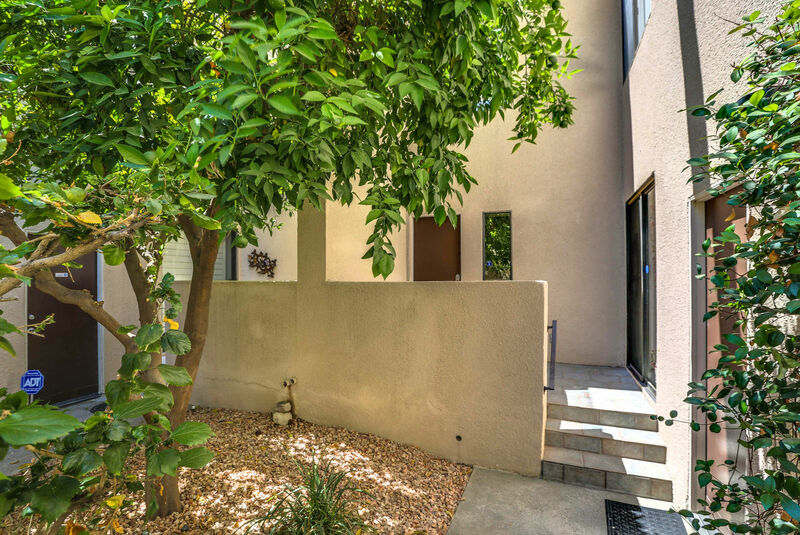 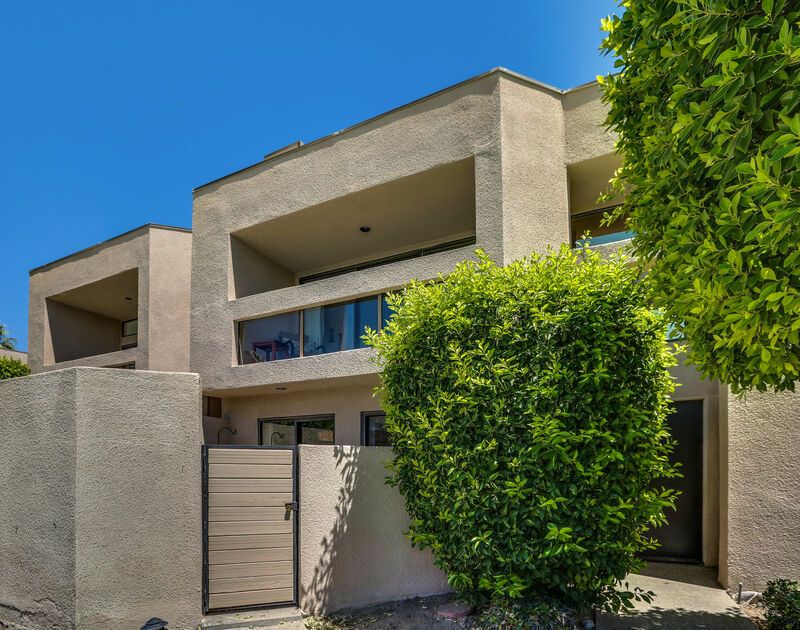 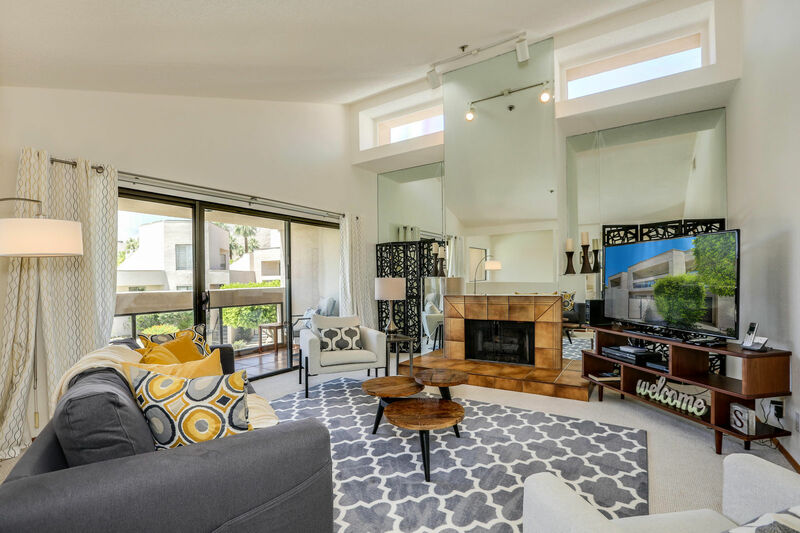 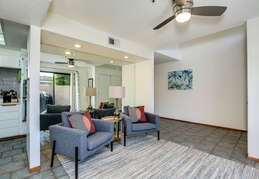 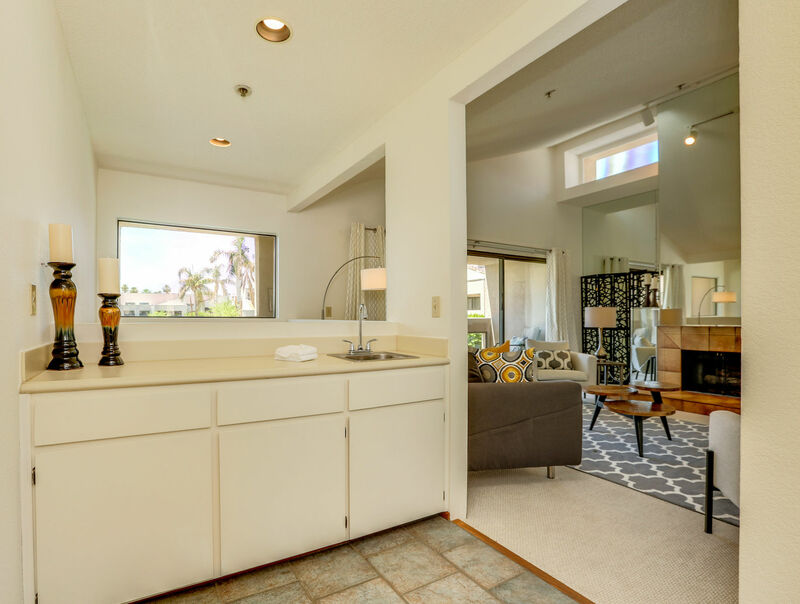 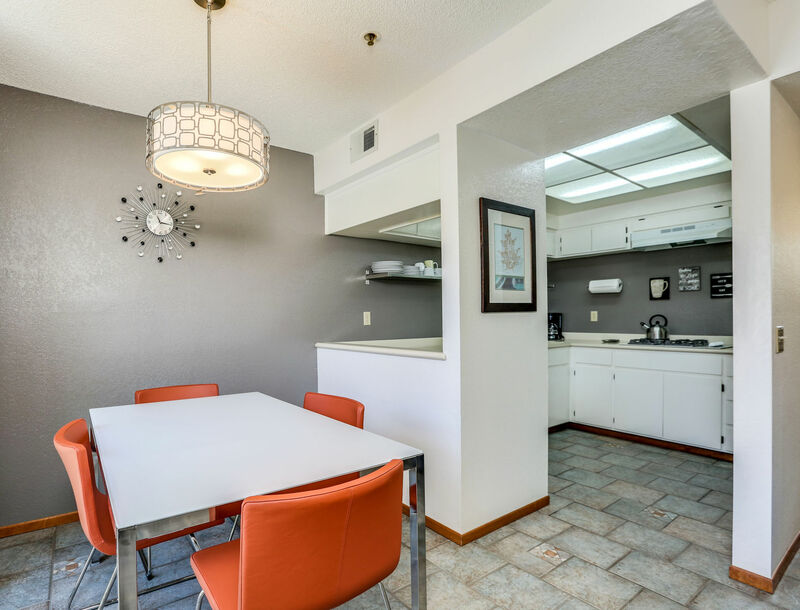 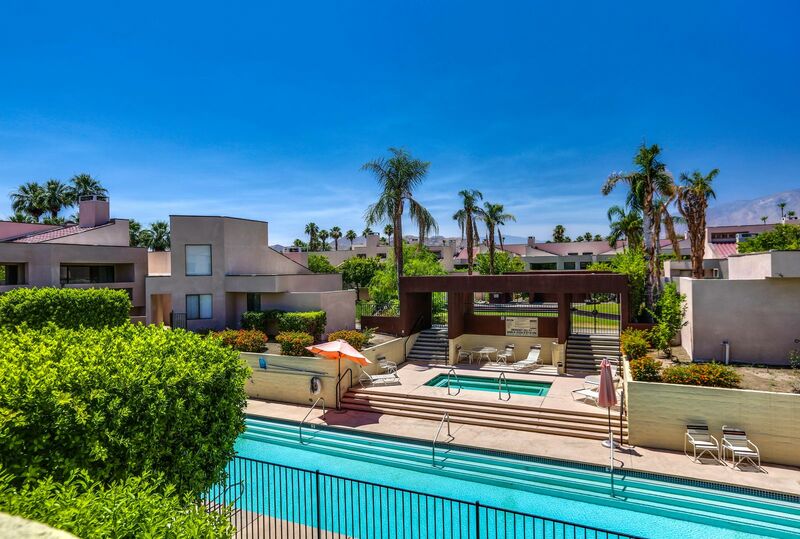 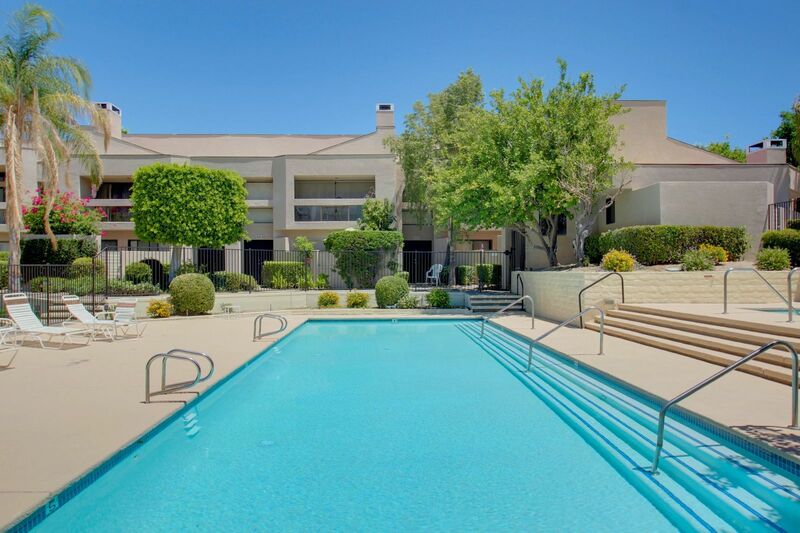 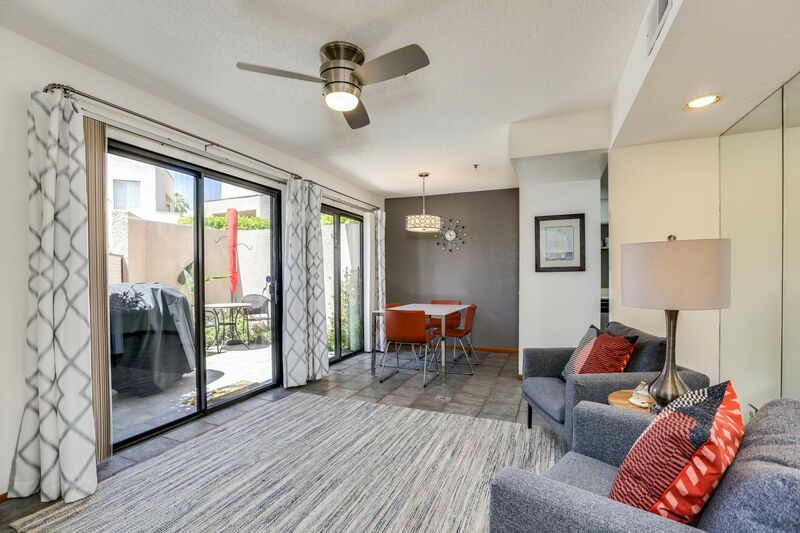 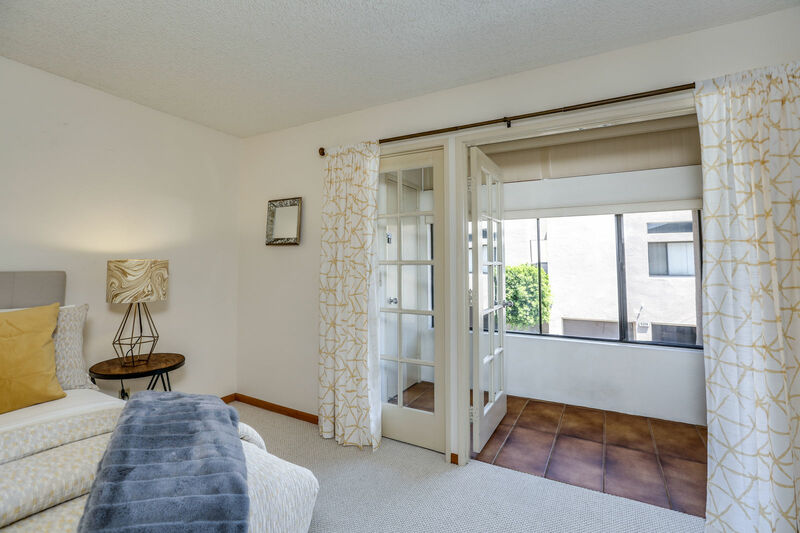 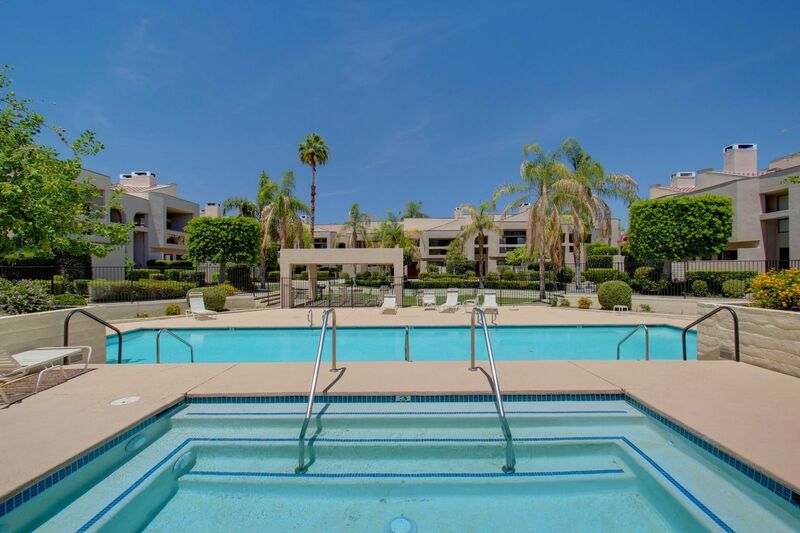 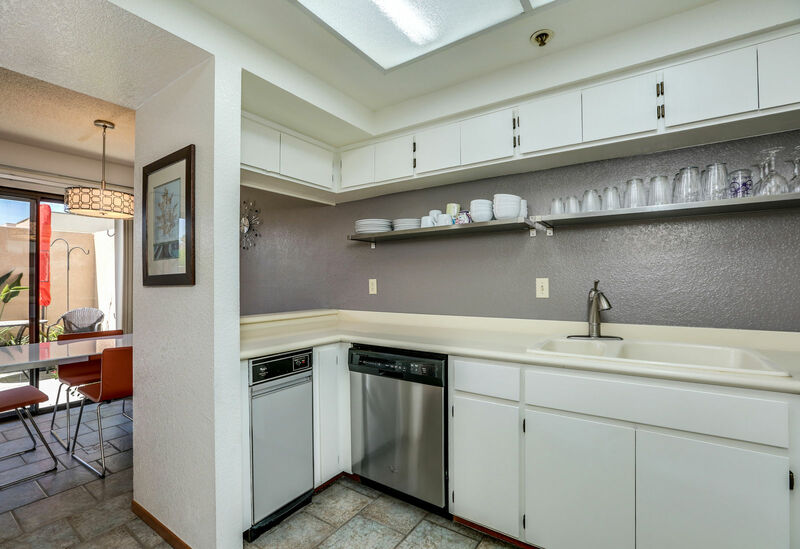 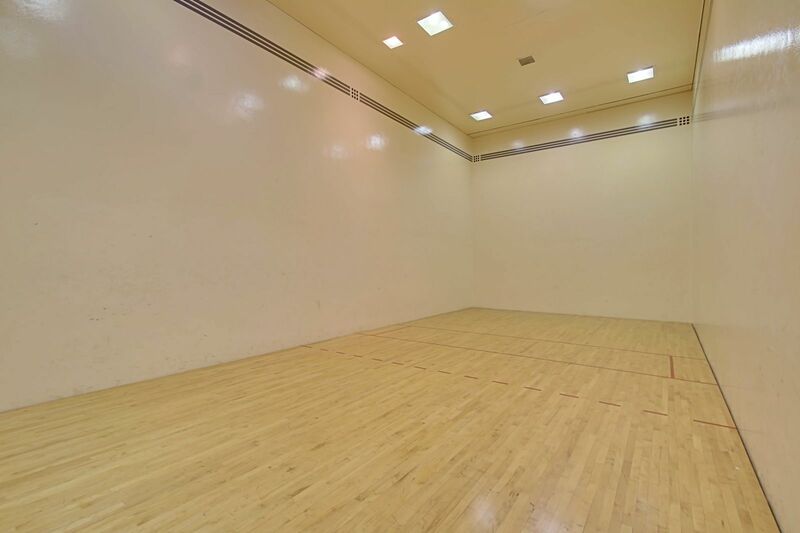 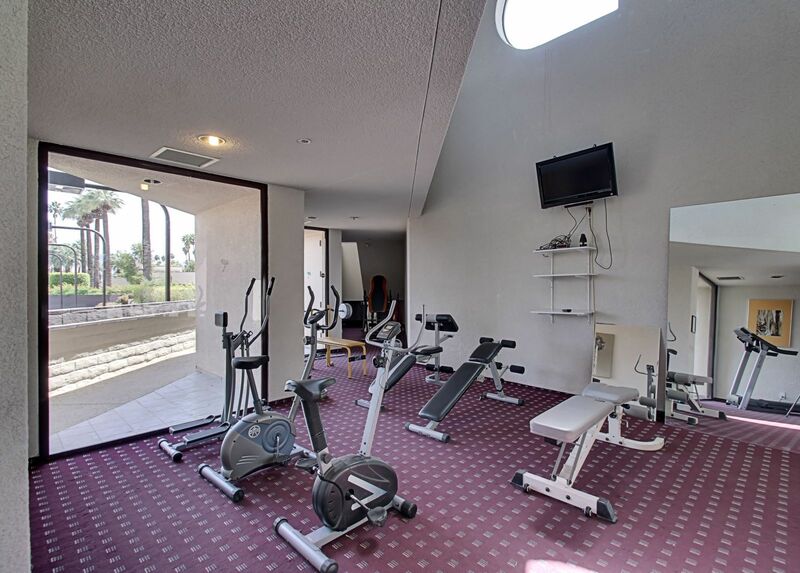 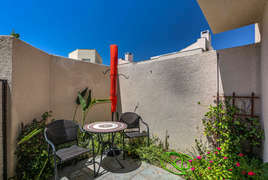 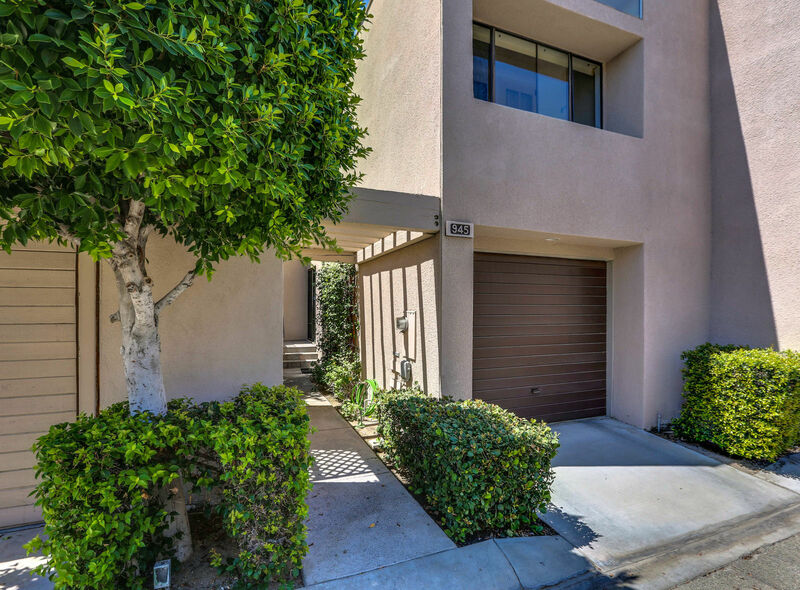 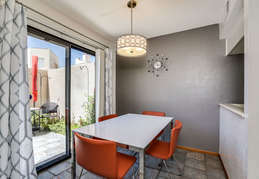 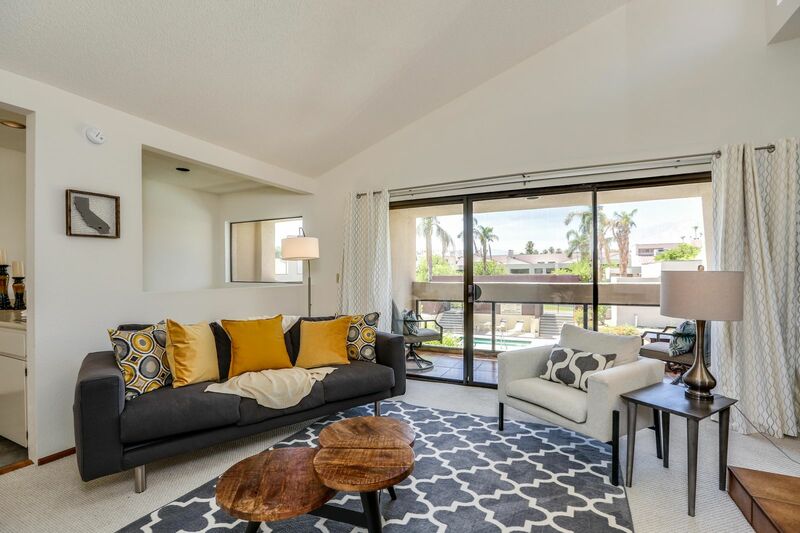 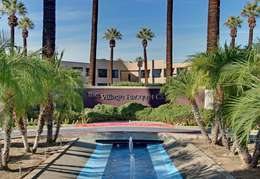 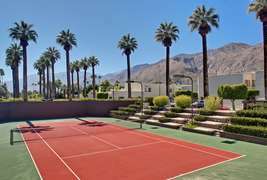 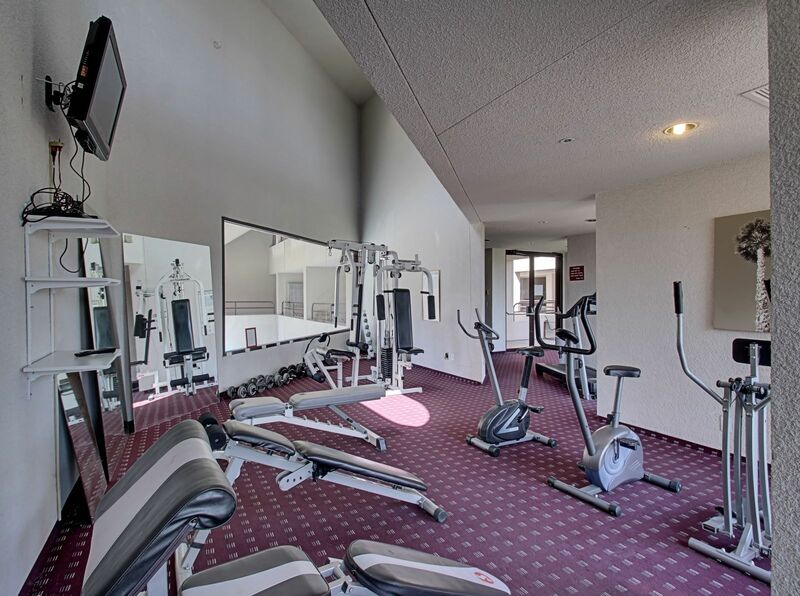 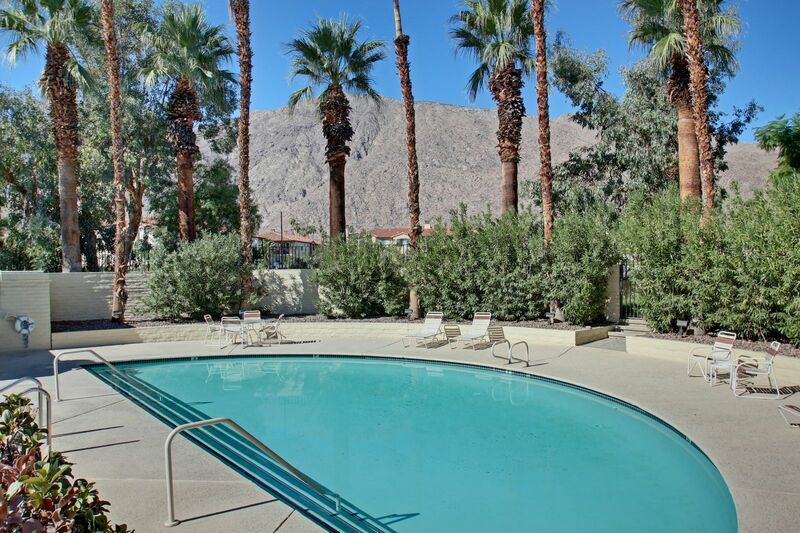 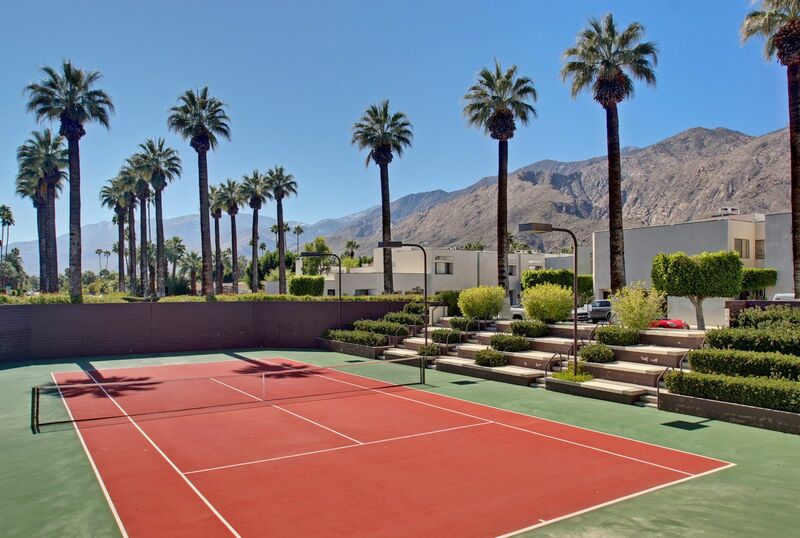 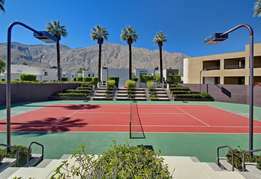 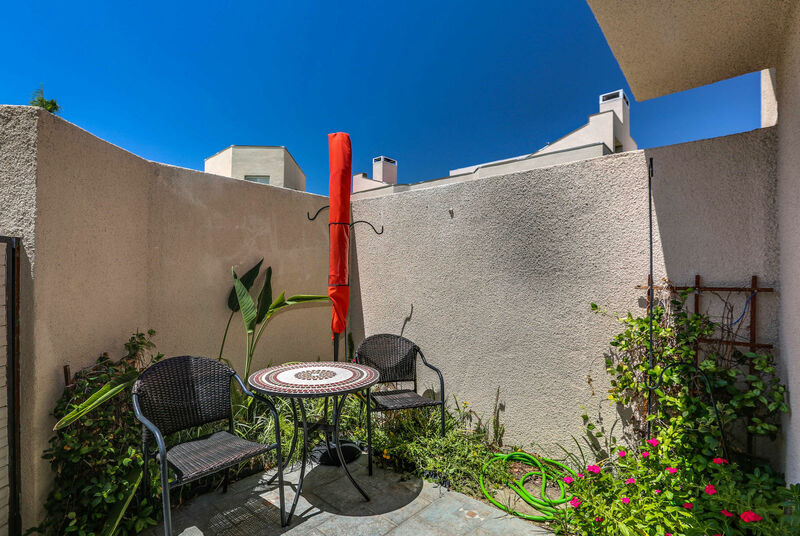 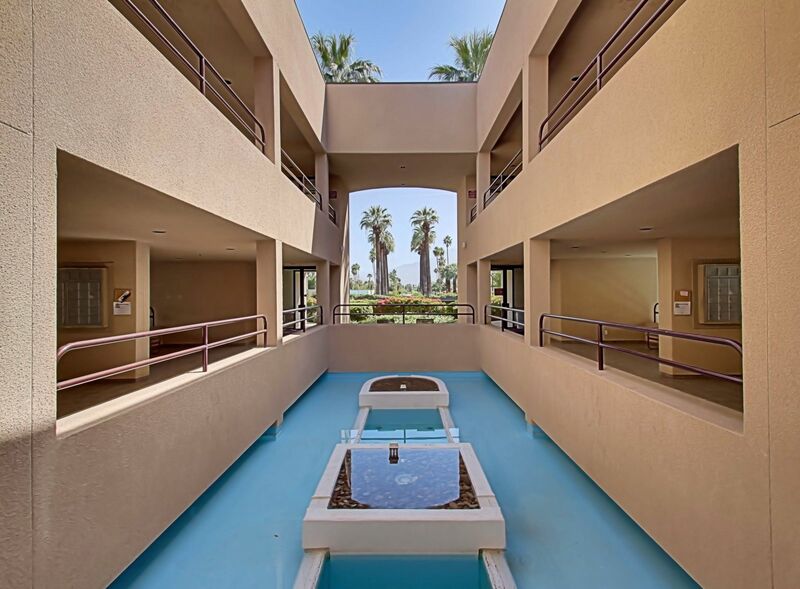 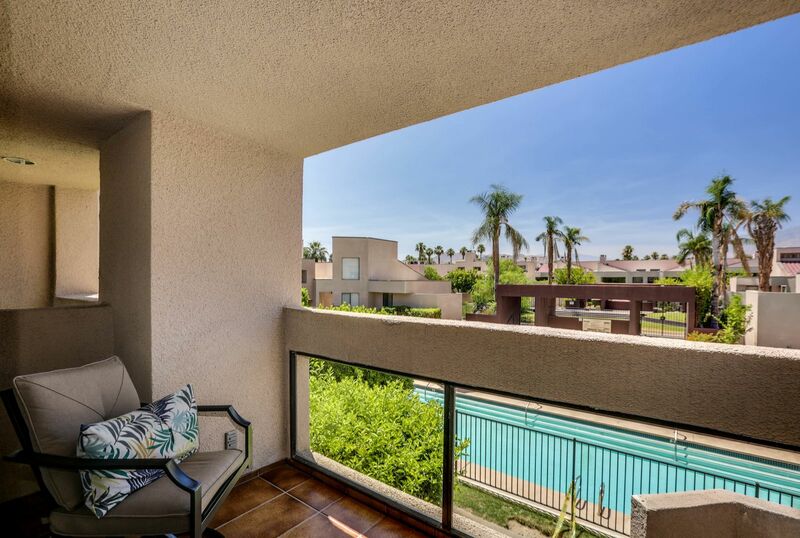 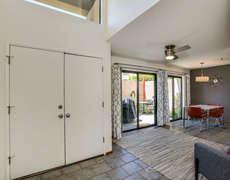 If you are looking for a spacious condo, in one of the most desirable areas, Central Palm Springs, which is only 3 blocks from downtown; you have found it. 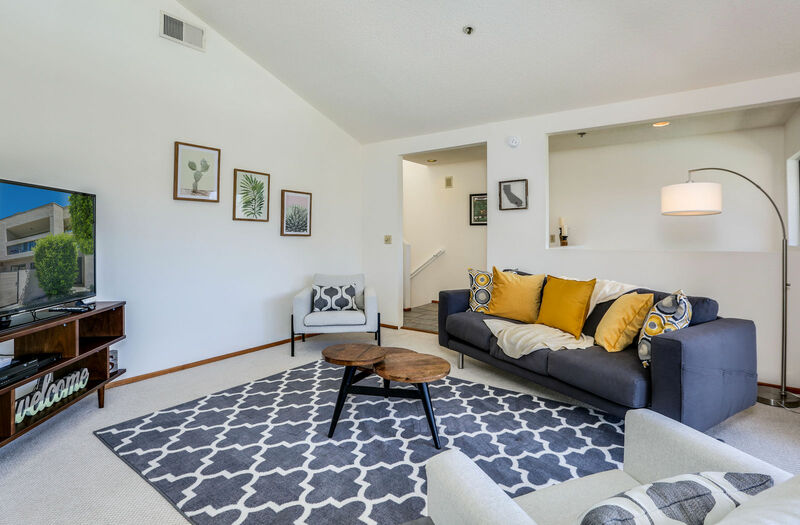 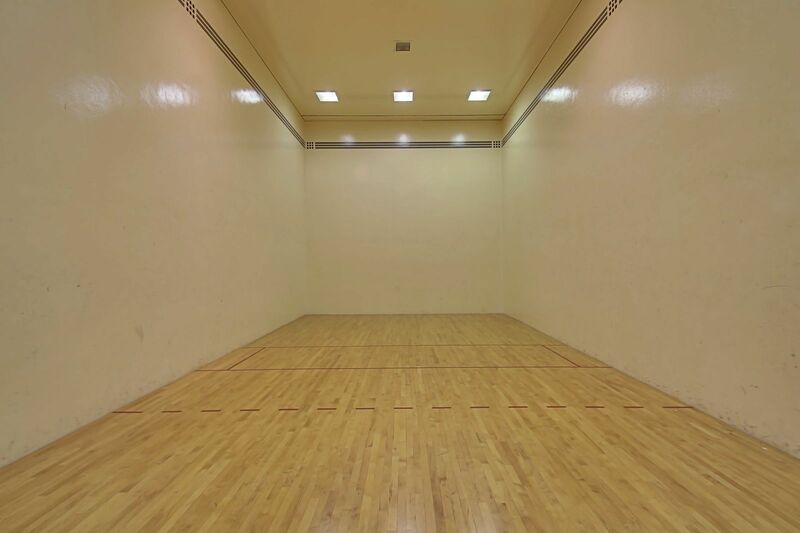 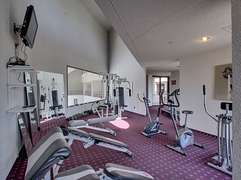 The complex was built in 1985 and the square footage is extraordinarily large, at 1,680 square feet; which gives each person space to relax, spread out and enjoy their individual space. 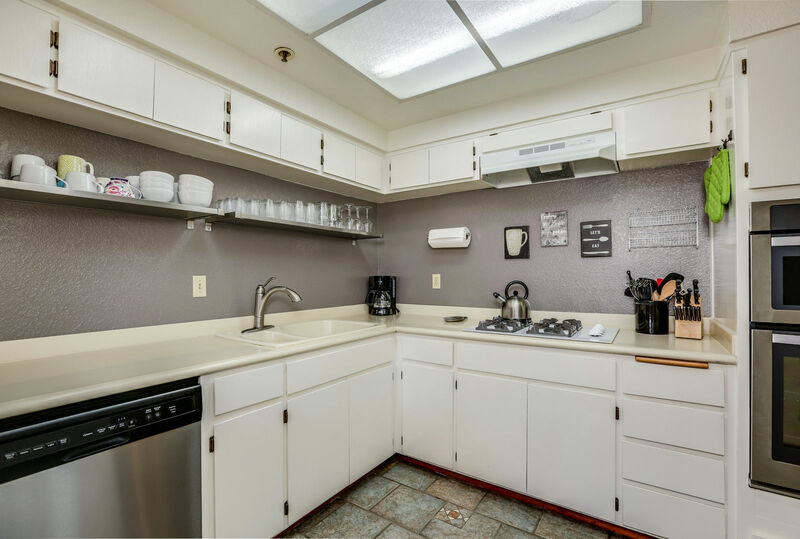 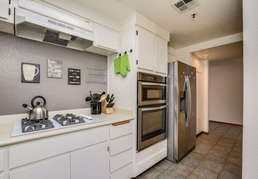 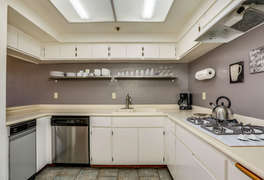 Village Square condo provides several updates, including new stainless-steel appliances in the kitchen and new faucets in the kitchen and bathrooms. It receives a great deal of light from clerestory windows and sliding glass doors in the living spaces. 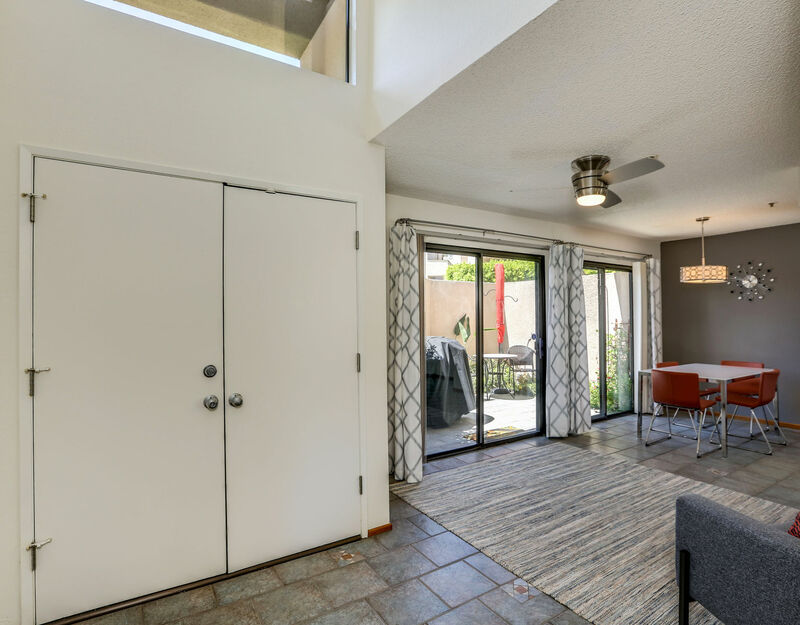 A private courtyard, off the dining area allows for al fresco dining; while the large balcony off the living room is perfect for evening drinks as you watch the sun set behind the majestic San Jacinto mountain ranges. From the living room sliding glass doors, which faces south, you will also enjoy views of the amazing pool and spa and the greenbelt. The living area boasts a gas fireplace, vaulted ceilings and a wet bar. 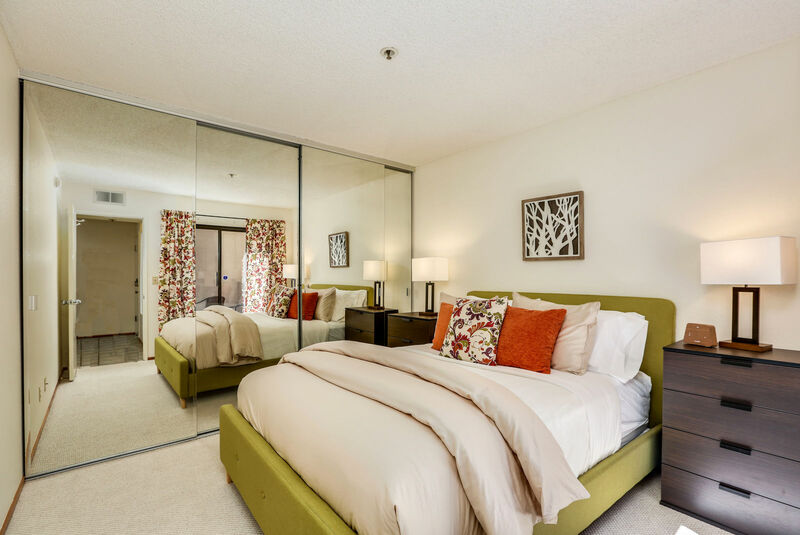 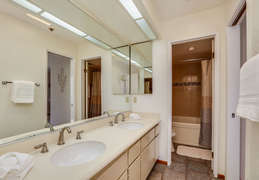 Each bedroom and bath is on its own floor which allows for privacy. 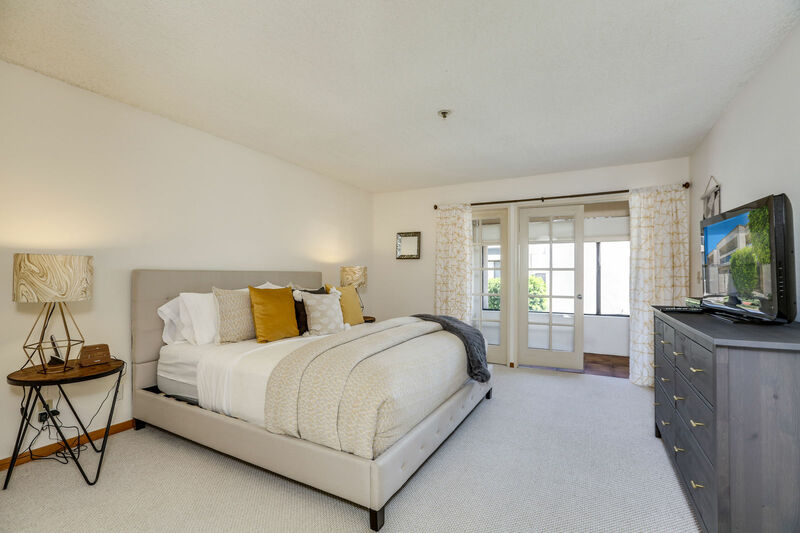 The master suite has a king size bed with a large walk in closet. 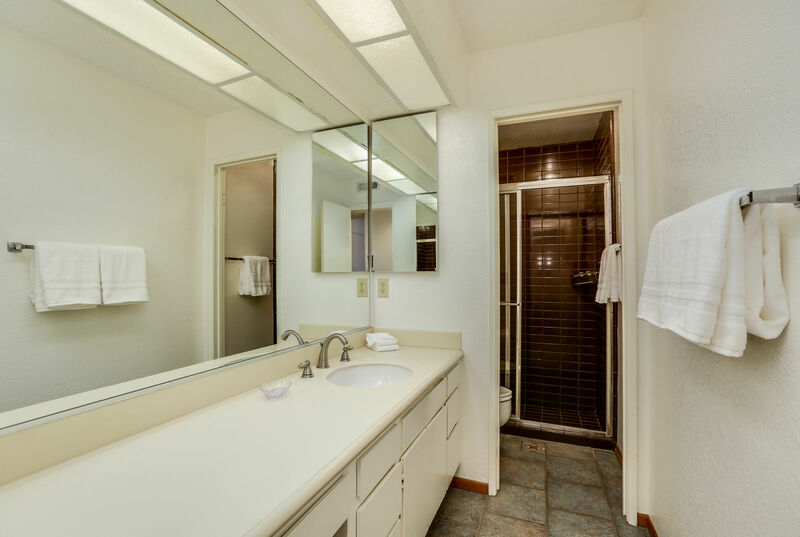 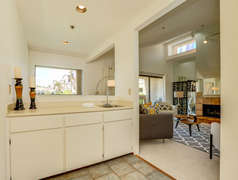 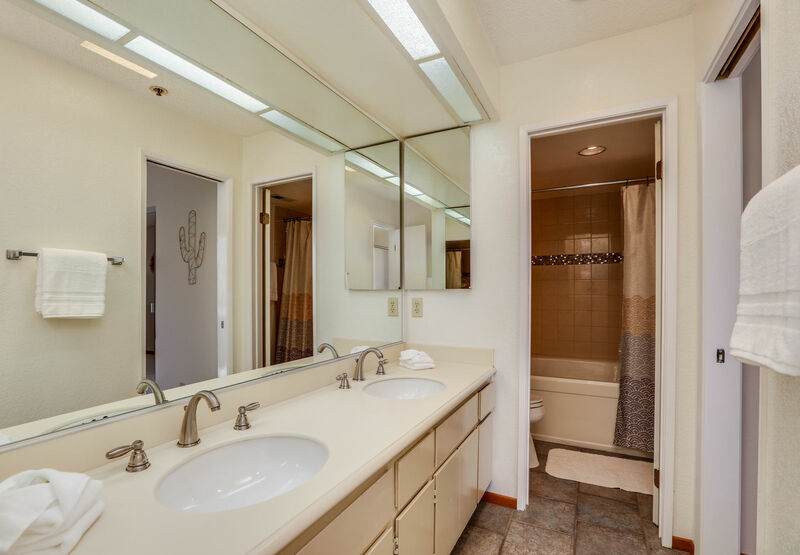 The master bathroom has dual sinks, an oversized tub and shower combination in the master bath; which can allow limitless time to rejuvenate and recharge after time in the pool, on the tennis court or on the greenbelt. 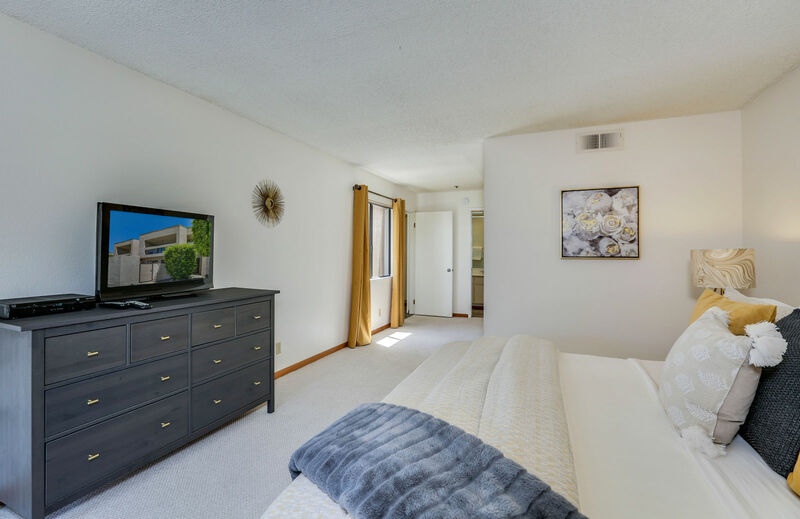 The queen guest bedroom suite is located on the lower level and has a walk-in shower and plenty of counter space for all your amenities. 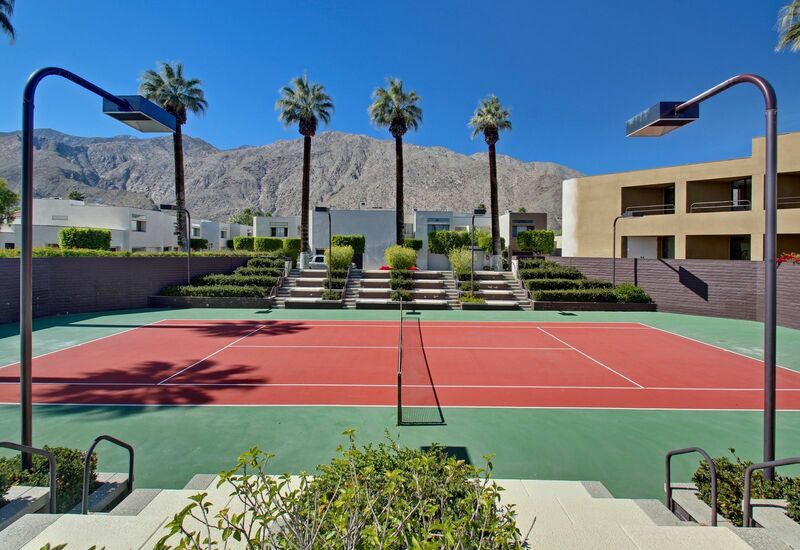 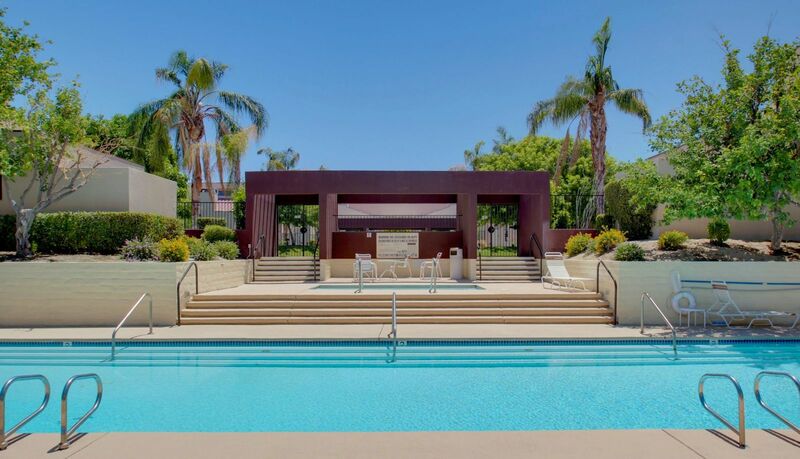 You will have access to a private, one car garage, 8 pools and spas, tennis courts, a gym and a clubhouse, all within the private, gated community. There is also guest parking within steps from the condo. 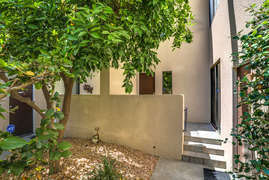 The complex is located near the corner Ramon Road and Avenida Caballeros. There is a 30-night minimum at this condo, year-round.